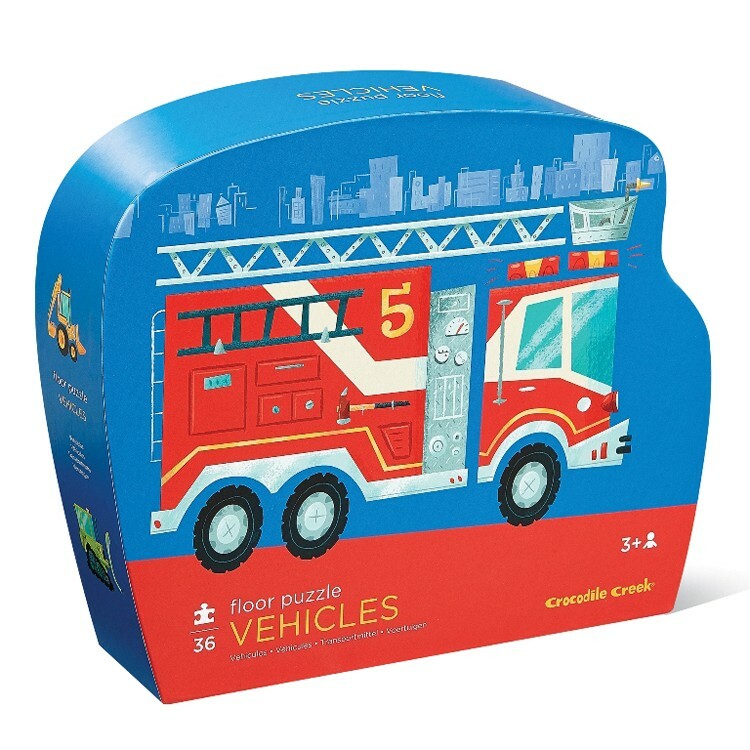 Your young car lovers will be so excited to receive this shaped box vehicles puzzle as a gift. 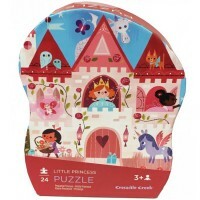 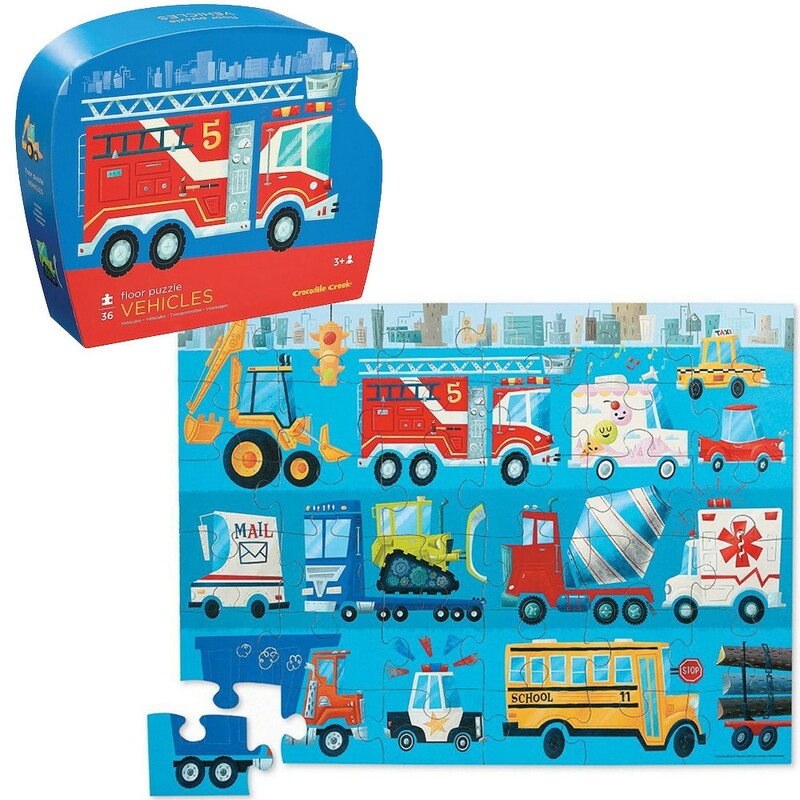 The Vehicles 36 pc Jigsaw Puzzle in Shaped Gift Box by Crocodile Creek features beautiful illustration of 13 different vehicles. 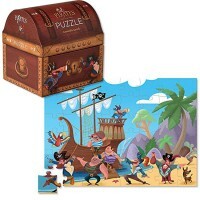 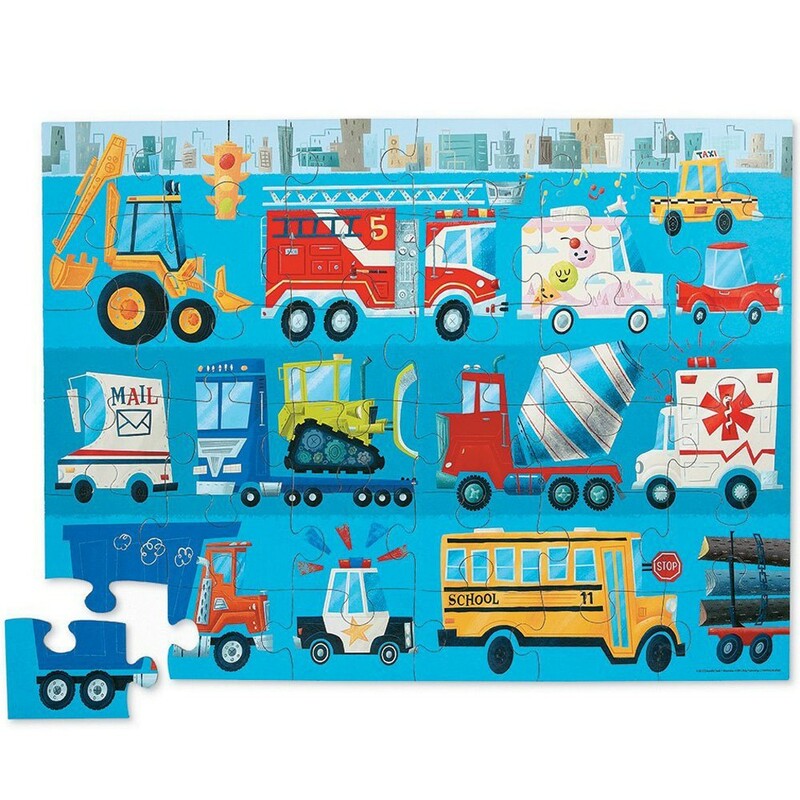 Amazing cartoon images, high quality cardboard puzzle pieces, and great presentation in a curved gift box make the Vehicles 36 pc Jigsaw Puzzle in Shaped Gift Box some really special gift for boys. 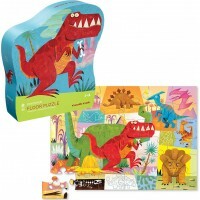 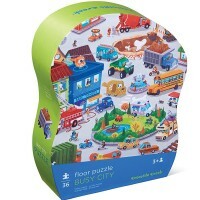 The large, high quality floor puzzle from Educational Toys Planet includes 36 jumbo pieces and come in heavy-duty, contoured gift box. 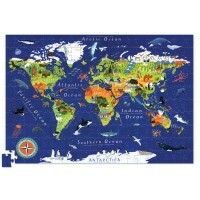 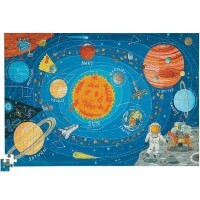 The finished transportation jigsaw floor puzzle measures 20 x 27 inches. 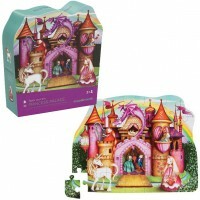 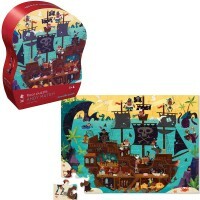 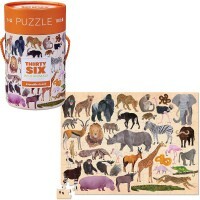 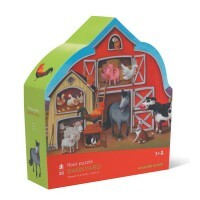 Dimensions of package 0.15" x 20" x 27"
Write your own review of Vehicles 36 pc Jigsaw Puzzle in Shaped Gift Box.